A.R. 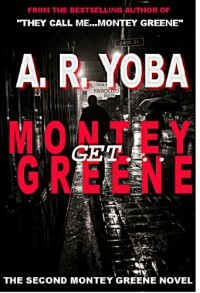 Yoba is back with the second installment in his Identity Crisis Trilogy, "Get...Montey Greene." In Europe the globetrotting ex-soldier and unemployed security systems analyst from Brooklyn found trouble in a beautiful Colombian woman named Alejandra. The type of trouble that can get you four bullets in the back and leave you with a sketchy memory. Now Montey Greene is back in the States. Back in Brooklyn, New York on his own turf. This time he finds a more pleasurable form of trouble in a Russian woman named Tatiana. And that lingering sketchy memory that has him wondering why he keeps responding to a name that's not even on his birth certificate. He survived the four bullets they put in his back while vacationing in Europe, now he was back in his own backyard. Back in the midst of the glitz and grime called Brooklyn, New York. 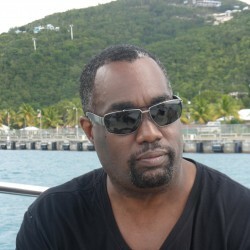 He thought he was home free when his feet finally touched down on U.S soil. He was eager to see his kids and soon to be ex-wife, Patricia, again. Maybe they could patch things up. Be a family again. Instead he found himself fighting his way out of some federal agent's interrogation room, and running for his life in the shadows of the Brooklyn Bridge. Reconciliation was gonna have to take a rain-check 'cause Montey Greene was still on the run. Running from the chaos that was Europe, the Feds, a reputed drug kingpin's henchman and from whatever unknown government entity that's put a price on his head. He's running fast. He's running hard. He's running straight towards whatever fate awaits him around the next corner. The first story of the globe trotting unemployed security systems analyst from Brooklyn who finds himself in the deep end of the pool when he meets a beautiful Colombian woman named Alejandra while vacationing in Milan, Italy. In someone that beautiful trouble is bound to follow. The type of trouble that can get you four bullets in the back and leave you with a sketchy memory. Up until the point he walked into that high end women's boutique on Via Della Spiga he was just a regular guy from Brooklyn. All he wanted was to buy a pair of shoes. Maybe they would help patch things up between he and his soon to be ex-wife, Patrica, back home in the States. Maybe they could be a family again and he could see his kids on a regular. Then those three thugs walked in. Locked the door. Mistook Montey for just a tourist. Bad mistake. 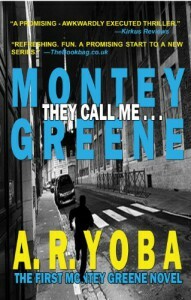 Montey Greene got shot because he hated the bully. But that Brooklyn blood pumping through his veins wasn't about to let him die. Not here. Not now. Not on this cold stretch of highway leading to Lake Como with four bullet holes in his back.